El Puertito is a modest fishing village far different from the rest of Tenerife. Although nestled between tourist-heavy resorts, this oasis remains untouched and unaffected. No towering hotels and apartment complexes or sunshade and lounger-covered waterfront. No strip of bars and booming sound, no waves of tourists flocking its shores, nothing. Instead, the charm of this simple coastal village is its naturalness. All the ‘touristy’ things it lacks is what makes it unique. Wandering souls steering away from busy vacation scenes find peace. Here, they can lie on the black volcanic sand beach surrounded by panoramic cliffs. The number of colorful boats that go in and out its small calm bay makes it even more picturesque. Lacking in modern amenities, El Puertito offers an unforgettable experience, one that guests cannot find elsewhere – swim with the resident sea turtles. In some ways, this little beach has remained obscure. There is not a lot of information made available on the web. In that regard, the lack of tourists has kept this gem hidden from the massive development other coastal areas went through. 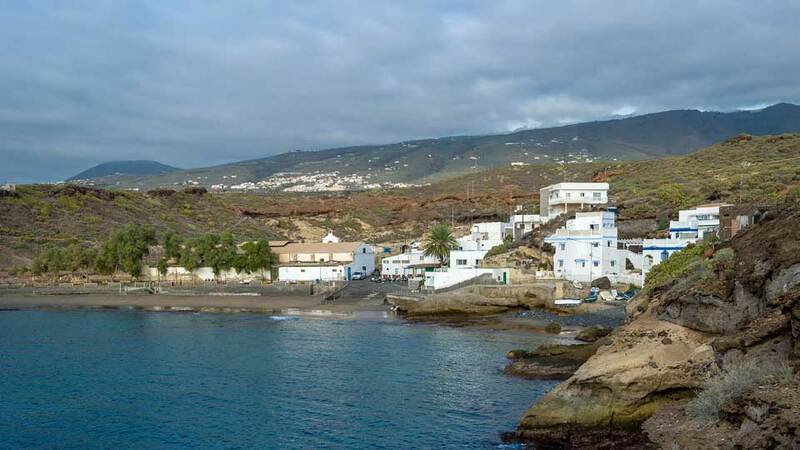 No one needs to go far to realize that El Puertito is reminiscent of the old Tenerife, the 70s-unspoiled island before the tourism tsunami hit its shores. In the summer, locals swarm its rocky shores to have some beach fun with the family. But for the rest of the year, it is at its most serene state with a handful of tourists passing by for a day. On some nights, there may be a few visitors staying until sunrise. Many people love the modern and ritzy amenities big hotels offer. The array of water sports and other fun activities never fails to entertain too. Not to mention, there is also the endless choices of bars and restaurants. Having so many choices is great, but what makes tourists take a break from the glamorous tourist resorts? Why go to an obscure remote fishing village? Aside from being postcard perfect, El Puertito’s simplicity is refreshing. Its untouched beauty is a breath of fresh air. This coastal town doesn’t have a lot, but it can give an authentic coastal experience that is very hard to find. The drive to El Puertito is a bit curvy but quick. After a couple of curves, the coastal village and its blue waters warmly welcome its guests. At this point, most of the visitors already know an amazing experience awaits them. The small church of Ermita Virgen del Carmen should be everyone’s first stop. As the most traditional Canarian chapel in the rural, it is simple yet sophisticated. It’s whitewashed exterior also mirrors much of the hamlet. At the fore is the teeny plaza that completely complements the shrine. Here visitors can take a seat to admire the chapel and its hilly backdrop. The lovely El Puertito has a tiny community and spacious parking spaces. In fact, the two parking spaces are bigger with regards to the land area than the cluster of whitewashed houses. It’s not a bad thing though. If anything, its modest population adds to its authentic Canarian fishing village appeal. The walk past the houses up to the cliffs is short but sublime. There are no elegant lightings or railings on the promenade. But what it offers is the full view of the tranquil coastal inlet. The white houses on one side are very Canarian but with a hint of Santorini. Fronting the houses are the gorgeous blue waters – the million dollars … no, the priceless view the locals wake up to every single day. After the easy ascent up the cliff, visitors get to witness the pinnacle of their swift hamlet tour. Here, visitors can view the galloping waves of the Atlantic crashing on the rocks beneath them. 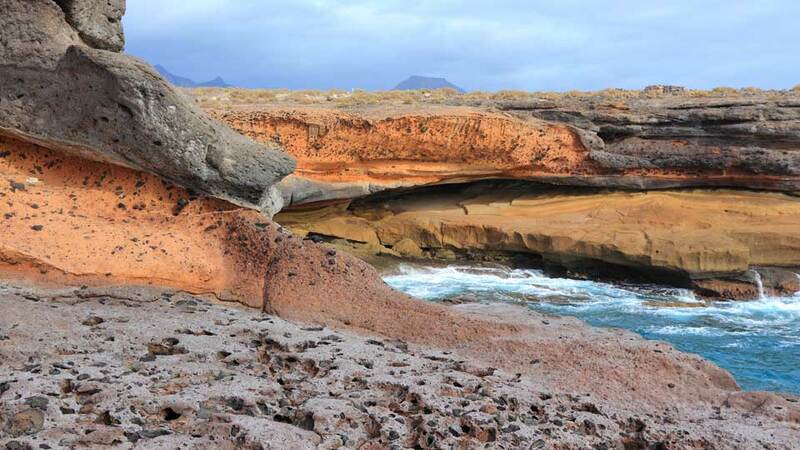 It is also here where one can see the natural beauty of the Tenerife coast. Already, the trip is well worth it, but the best is yet to come. Neighboring resorts offer diving and snorkeling trips. Well, guess where they go? Yes, the Turtle Bay. Although never mentioned in travel guides, diving companies in the south of Tenerife hail El Puertito as one of the premier diving spots in the area. 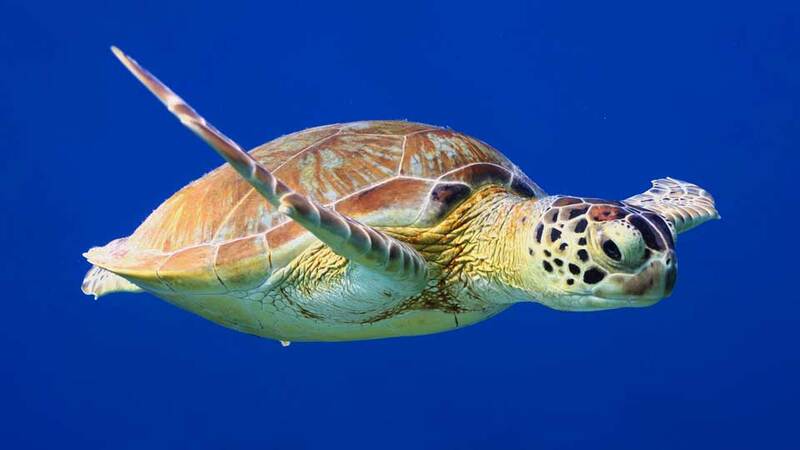 The turtles are the headliners in this clear azure waters. They swim around people and are not timid around cameras. In fact, they seem to love and bask in the attention. With such abundant marine life though, naturally, the competition is tight. Giving them a run for their money are the rays. They come in many varieties: bull rays, stingrays, butterfly rays, and so on. And the enormous ones steal the show every time. There’s no other way to reach El Puertito except by car or foot, as no public transport passes by the area. The latter will take up to an hour even when coming from neighboring resorts like Playa Paraiso. The most highly recommended fashion of getting to the diving haven is by car. Tourists can either hire one or hail a taxi. It’s also fun to visit El Puertito as a group with many joining organized diving tours. This way, they get to see the little fishing village and guide them to spot the turtles and the rays. El Puertito is a popular day trip destination, and visitors rarely stay for the night. Should they need accommodations, there are several in nearby areas, but none in the hamlet itself. For hotels with great amenities, the neighboring resorts have a lot to offer. As for the nearby villages like Armeñime, there are plenty of apartments to choose from as well. Bodegon Pepe y Lola is the only bar and restaurant in El Puertito. Here, guests eat and drink while appreciating the spectacular little bay. Their must-try are fresh fish churros, tortilla español, breaded crab claws, and tapas paired with either a sangria or a local wine. Sumptuous food and panoramic vistas are always a great combo. The Canary Islands, no doubt, is one of the most majestic archipelagos in the world. And there is a plethora of reasons why Tenerife is the flagship island. It has world-class hotels and resorts, the best of the best restaurants, and, most importantly, magnificent sights one can’t find anywhere else. While marvelous as it is now, its traditional Canarian roots continue to fade away. In the south of the island, the breathtaking El Puertito remains true to its Canaria ways. Still a simple but beautiful fishing village then, so it is today. There is not a lot of development in this area to the delight of the locals. A remnant of old Tenerife, El Puertito proves that the charm of an old fishing village never gets old.